Week After Beach Attack, Tunisia Declares State Of Emergency : The Two-Way Beji Caid Essebsi's office says the president needs the expanded powers to deal with extremists following the attack in Sousse that killed 38 foreign tourists. Tunisian President Beji Caid Essebsi speaks during a forum on strategic planning, in Tunis, in June. Essebsi has declared a state of emergency his office says is aimed at dealing with the threat of Islamist extremists. More than a week after a deadly attack by an Islamic extremist at a Tunisian beachfront resort that killed 38 foreign tourists, the president of the North African country has declared a state of emergency. 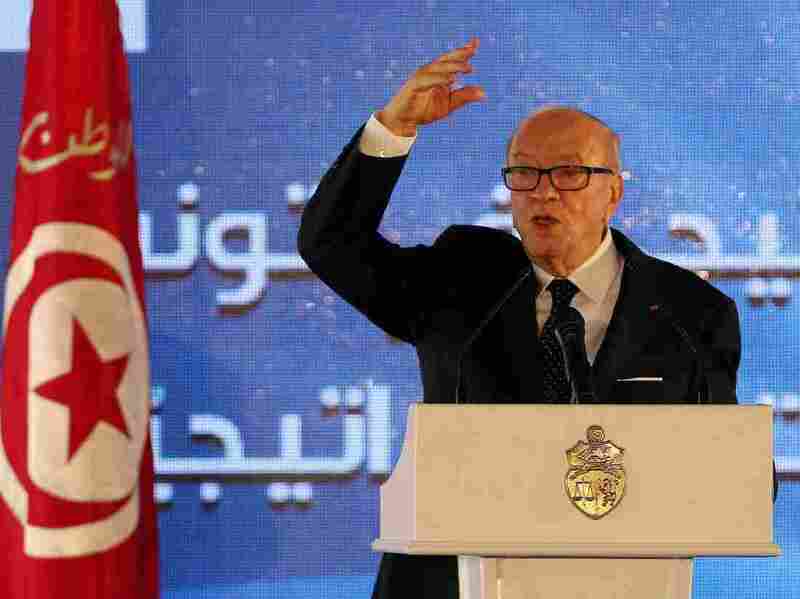 President Beji Caid Essebsi's office says in a statement that he needed the powers that come with the declaration to more effectively deal with the threat from extremists. As Reuters writes: "Tunisia's emergency law temporarily gives the government more executive flexibility, hands the army and police more authority, and restricts certain rights such as the right to public assembly." The declaration follows last week's attack in which a lone gunman entered a resort at the Mediterranean coast town of Sousse and began systematically killing tourists, most of them British, but also some from Germany and Belgium. The assailant, who was killed by authorities, was later identified as 23-year-old Seifeddine Rezgui, an aviation student. The self-described Islamic State claimed responsibility for the attack. The statement from the president's office said Essebsi would give a speech on national television with more details at 2 p.m. EDT.